In a magnificently understated teaser—reminiscent of Modern Family insofar as its all-white family regalia—Transparent descends from the writers’ room with a reminder that its second season will soon be upon us. 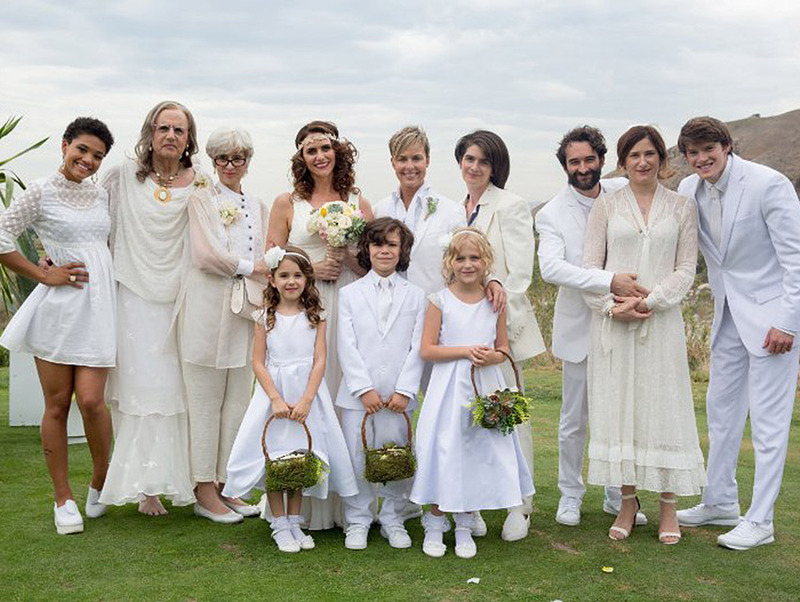 The teaser shows a scene from Sarah (Amy Landecker) and Tammy’s (Melora Hardin) wedding, with the entire Pfefferman clan posing for a photo. All is going as expected—the family members are each, in their own way, focused primarily on themselves and how they look—until the photographer drops a “sir” on Maura (Jeffrey Tambor). Maura then executes a perfect diva exeunt from the tableau, hand-in-hand with Shelly (Judith Light). Again, it’s a perfect Pfefferman moment. Partly, though, we’re just excited that Kathryn Hahn is still in the picture.